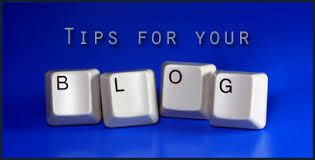 You may have noticed that blogger blogs do not use your post titles as the title tag of your individual posts. Its code structure is something like this. That means it first considers the blog title which you had written as shown in the image below and then the post title. Which you can see browser top bar after opening any of your blog posts. But search engines read up to 66 characters. So even if you are writing a keyword rich post tile for your blog posts, blogger by default mess it up when it comes to optimizing your title tag of individual blog posts. If you are targeting only one keyword which you are using as your blog title, there is no need to change the the title tag structure. But bloggers normally target different keywords for each and every blog posts which requires changing the structure of the title tag. replace the code (Blue) above with the code (Red) given below. Preview the template to see whether it gives any error and then save. You are now done. Now search engines will consider your post titles as the title tag of the post concerned. it is really important for SEO point of view first title name of the blog post is important.